xLobby Ver 3.0 Update ! 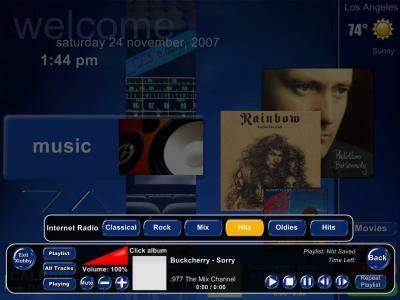 Registered users of xLobby 2.0 will receive information on where to download early beta releases of xLobby version 3.0, due out by the end of December 2007. Stable releases are expected in middle to late January 2008. Stay tuned for further details. We will be at the Volutone branch in San Diego on December 17th for a full day of training and demonstration of Calrads xLobby media management and control system software and hardware products. Any questions or concerns regarding the xLobby training can be directed to Mike Karten at Calrad, E-Mail mikekarten@calrad.com, Tel: 323-465-2131. 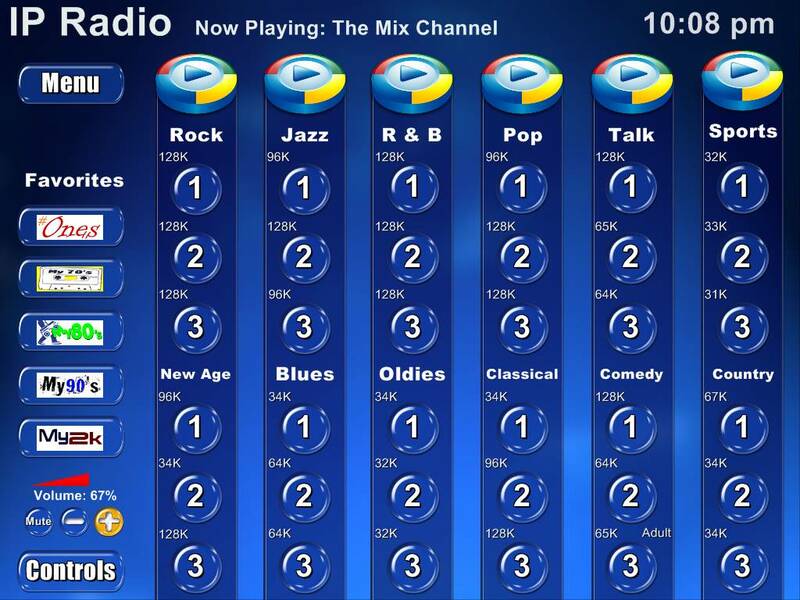 We are testing IP based Radio interfaces and have integrated them into version 2.0 and will be further integrated into ver 3.0 when completed, it’s working good, just a few minor bugs to work out. 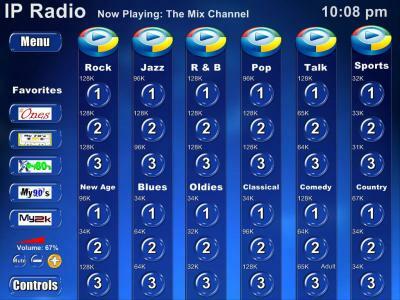 The Radio station ID and Music now playing details can be populated on any menu. 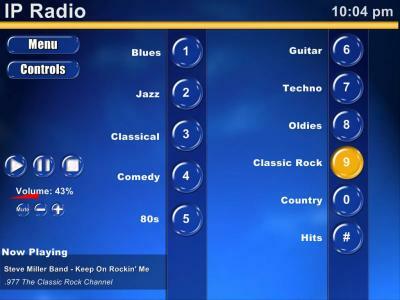 The same Multi-Zone audio setup for Music will also work for the IP based Radio as well. More details to follow when available. We have integrated both Insteon and UPB lighting products into xLobby version 3.0 , some early testing of the insteon API proved dissapointing and cost us some time using it. Reliable Communication issues and interface road blocks were not exceptable, so Steven is now communicating directly to the Power-Linc controller module which provides for a much faster 2 way interface in xLobby and a more stable communication between them thus cutting out the Insteon API. 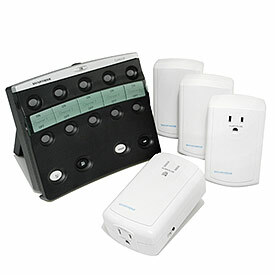 Both product lines offer reliable and affordable lighting and home automation products. More details on sales of these items on the xLobby website as well as integrating and setting up the devices with xLobby version 3.0 will be posted here in the future, stay tunned ! Steven & Calrad are working day and night to get version 3 of xLobby ready for some early beta testing. 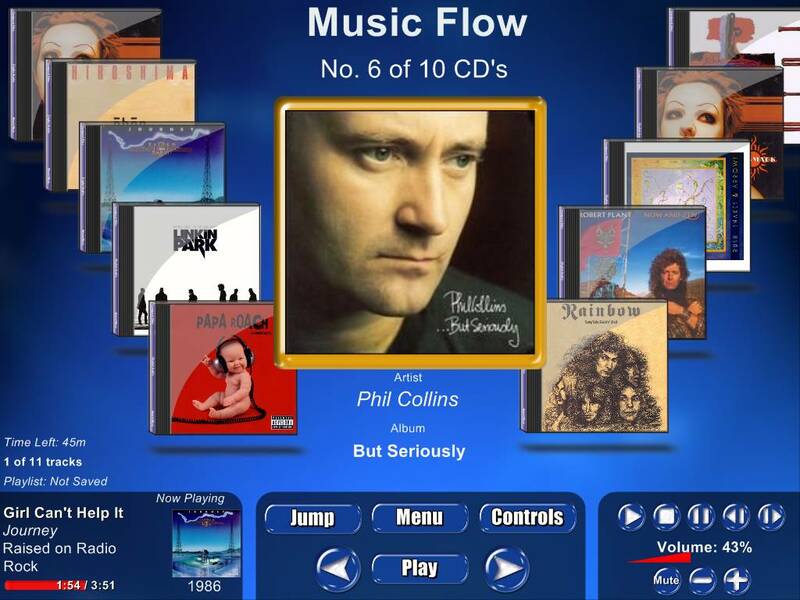 The new interface will provide some very interesting visual effects and eye candy as well as many new features and controlability for interfacing to existing A\V products and home automation devices. Version 3 is much faster when navigating the interface and Movie, Music libraries. Some new skinning and control elements will be added to the new interface. 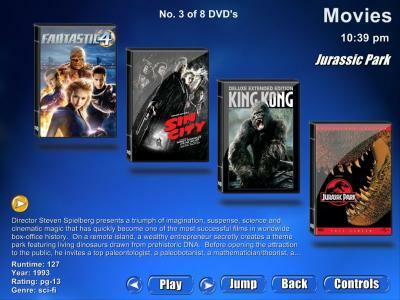 Below is a screenshot of DVD coverart and a DVD case combined to look like one element, this example was created using version 2 of xLobby and version 3 will provide much more advance features like reflections and mirroring of images as well as various movements of these images and any graphic element of the interface. Time permitting I will be posting short video clips and or screen shots illustrating some new features of xLobby version 3. Obviously stability and low usage of system resources are our priorities for version 3. 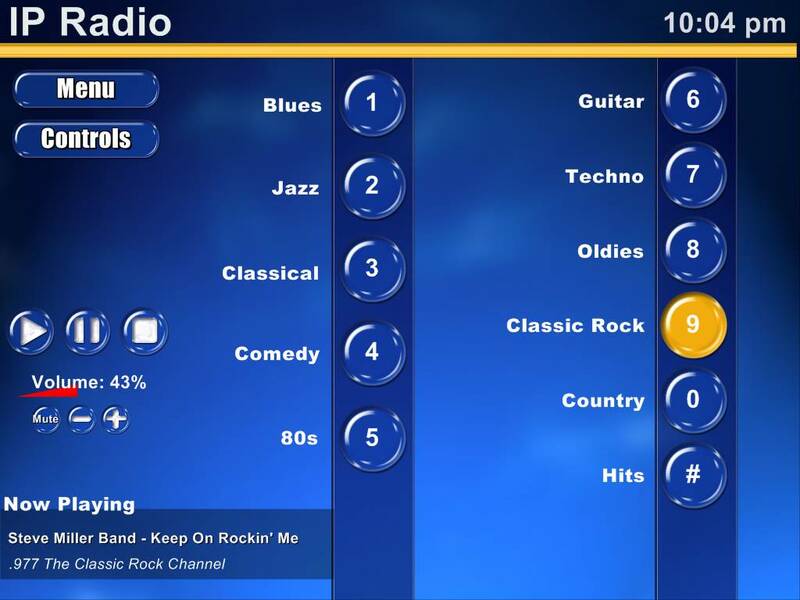 Calrad is in the process of integrating ELK products into the xLobby platform, we feel this will expand the xLobby product line and provide a more powerful media and home automation control system. Over the next 30 days we will be testing the xLobby interface for communicating with ELK’s M1 controller using various communication protocols and finding new and creative ways to connect there technology to xLobby. 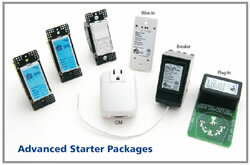 When integration is complete the xLobby website will eventually have products for sale as well as integration details for the various security, lighting, HVAC, irrigation solutions. More details will be available soon. 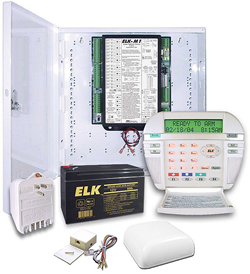 More information on there products can be found at: www.elkproducts.com . You are currently browsing the xlobby news blog archives for November, 2007.